I am a fan of Imaginisce and when I got some of the Apple Cider collection I was so excited! I have been wanting to play with the goodies for sometime but was just recently able to get use them. 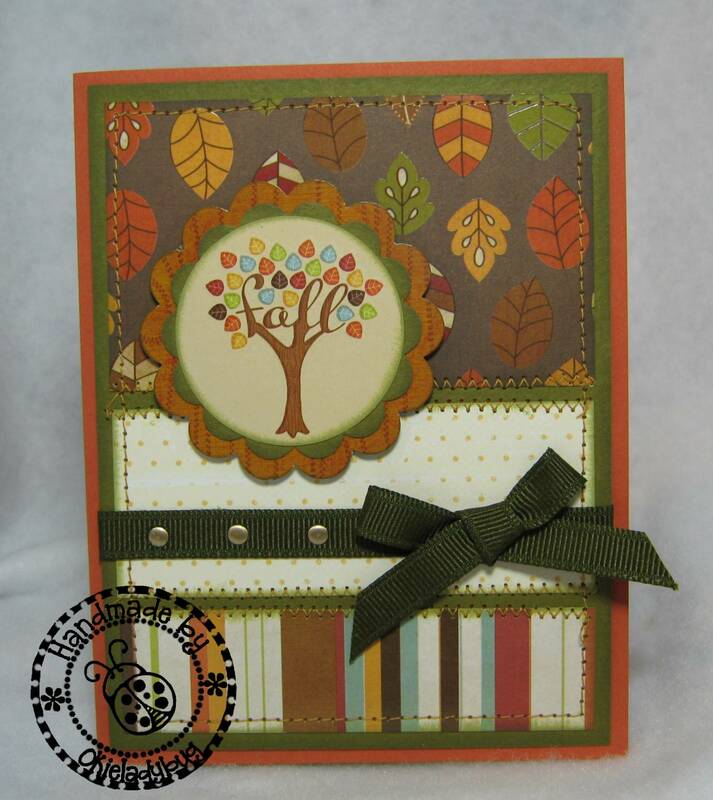 The line has some great accented paper, chipboard shapes, rubons, ribbon, stickers and stamps! 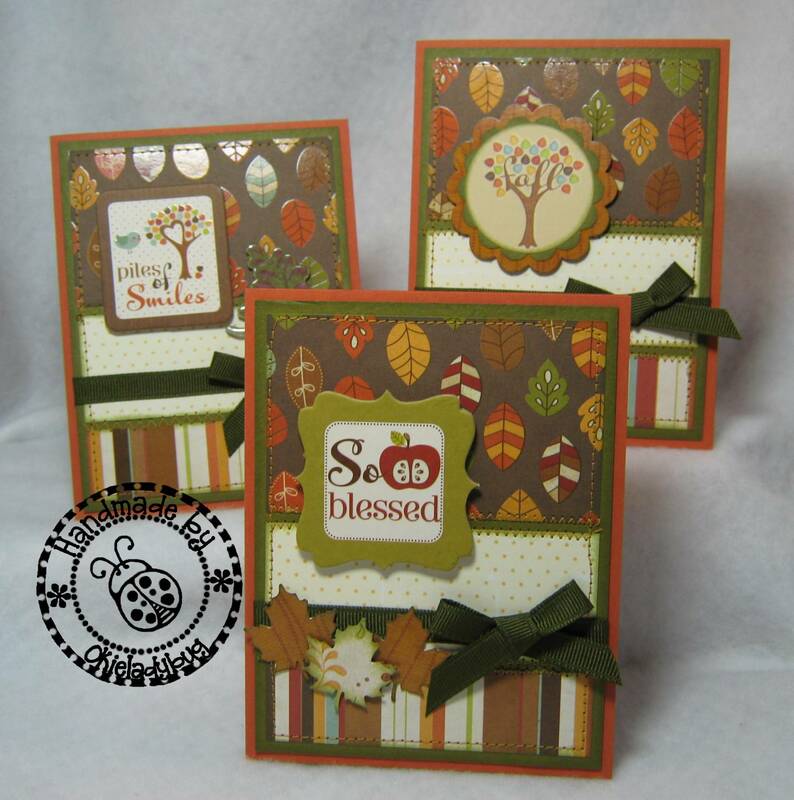 I used the same layout but different elements to make 3 different cards. I think this one is my favorite. I like the leaves punched and placed below the ribbon. The brown leaves are actually punched from the packaging that the chipboard shapes came in. I thought it just looked too good to waste! 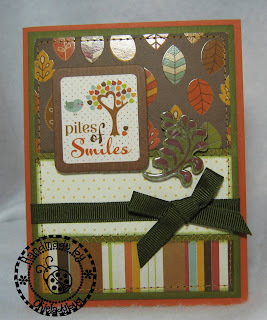 The chipboard sentiment has a bit of a glossy look to it so it didn't' need any extra embellishing. I did pop dot it on the card though. Some of the collection includes some really cool clear stickers. I put it on some green paper so it would show up better and then pop dotted to give a bit of a corner decoration to the sentiment chipboard shape. 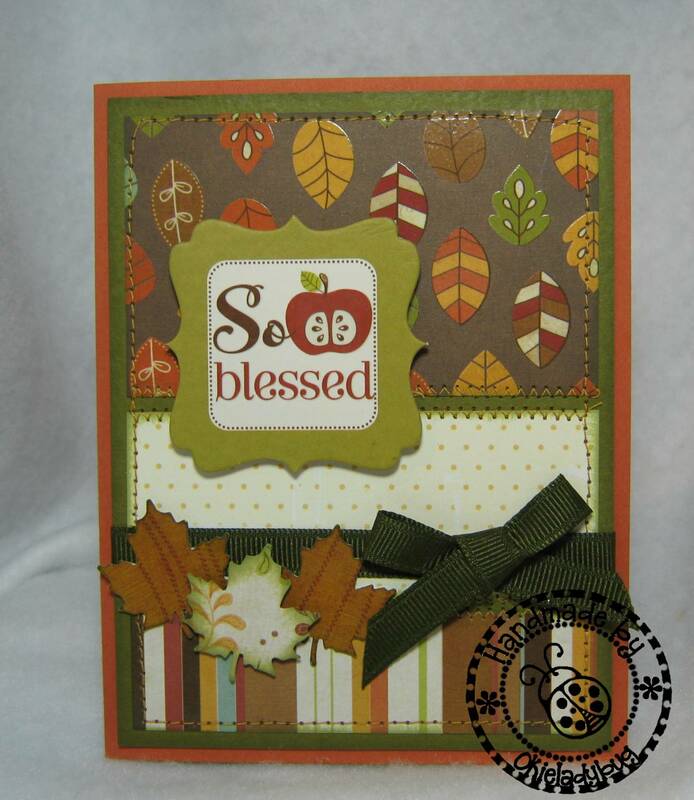 On this one I applied a rub-on to some beige cardstock and then punched it out. I then punched two different size scallop circles to mat the image on. The larger scallop circle is punched out of the packaging like the two of the leaves were. Remember I always say...waste not want not! I am wanting to use some of this line to make a few layouts. 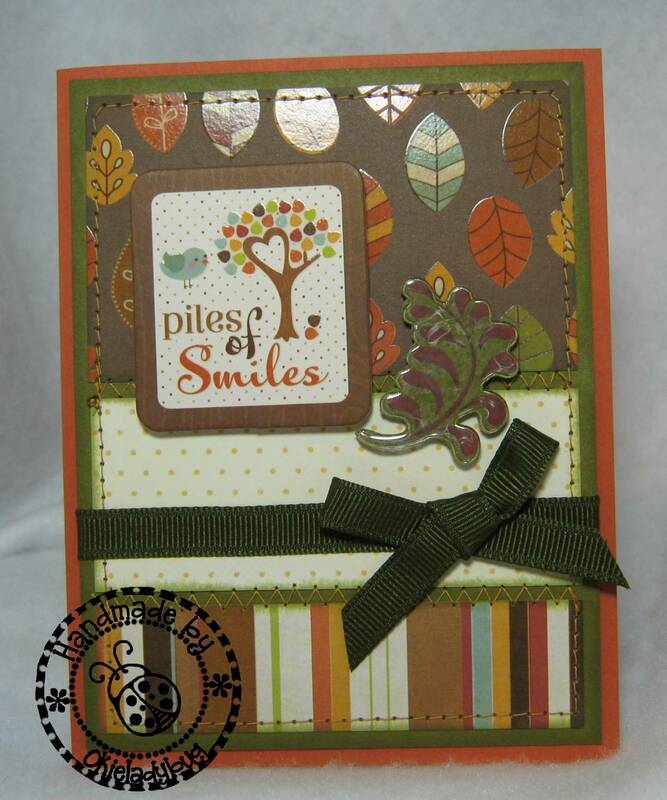 The colors are just so wonderful and the embellishments they have available are top notch and will make doing a layout a breeze. Heck I won't even have to use *okie leans in and whispers softly*...my Cricut! Love these colors - I'm going to be looking for this line tomorrow on a shopping trip! TFS! Just gorgeous! 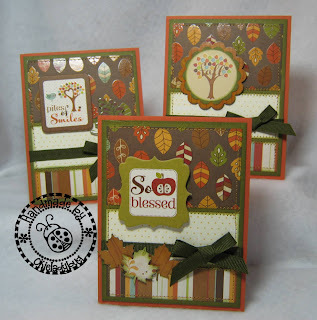 Fall is my favorite; you've captured the magic in these cards. TFS. C-U-TE! I love the sheen on that paper. As always great cards. Very nice cards love the paper! Really cute cards!!! I love this paper line...I had to have it too!! Love your cards. Very nice for autumn greetings. I love your latest set of cards. Very nice!! These are really pretty! You do such beautiful work! These are just yummy ,Okie! Beautiful! These papers are fantastic. Super! And you used a STICKER! LOL! Can't wait to see these in person. Did you get the paper, etc. at Scraptopia? Dont know how I missed these last time I browsed your blog but I did. I really like these cards. I love fall but never do anything to celebrate it or make anything for it. I may have to change my mind on that. Really nice cards, Great job.